Summer is right around the corner and we are all anticipating our biggest event of the year! 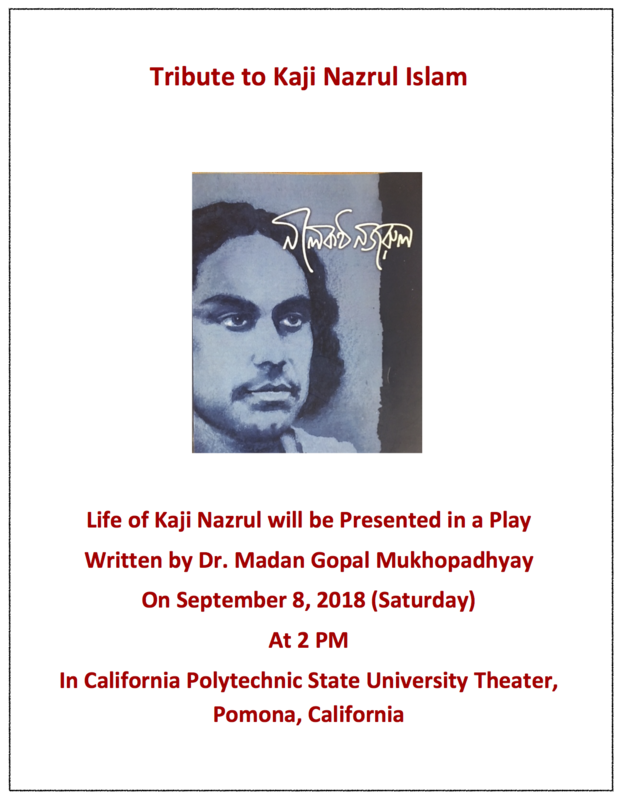 With Durga Puja being less than 5 months away, the Dakshini Academy of Arts and Cultural Exchange (AACE) is recruiting kids of our community to participate in the Durga Puja 2018 kids play. The enrollment form can be accessed by clicking here. Kindly submit the form by 11:59pm PDT June 8th, 2018. Rehearsals are pertinent to the end product so please carefully fill out the portion that inquires about your kid's available weekend dates. Several budding scientists of Dakshini participated in a Petri Paint Workshop (part of the Dakshini Youth Science program, coordinated by Titash Biswas and sponsored by long-term patron Dr. Kamales Som) at TheLab Inc where they had the opportunity to learn about biology and paint with genetically modified bacteria. 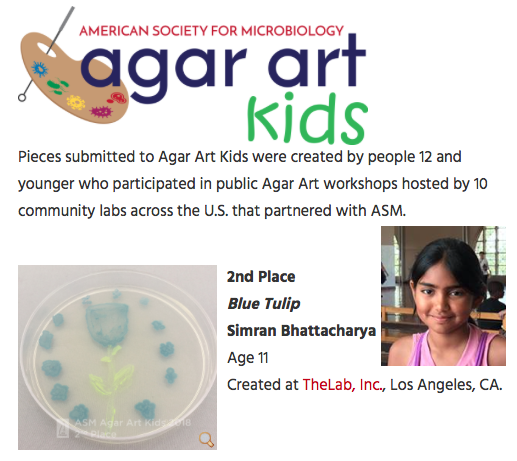 TheLab Inc is a community lab partner with the American Society for Microbiology which hosts an annual Agar Art Kids competition and amongst our kids, Ms. Simran Bhattacharya, age 11, won 2nd place for her creation "Blue Tulip." Congratulations, Simran! 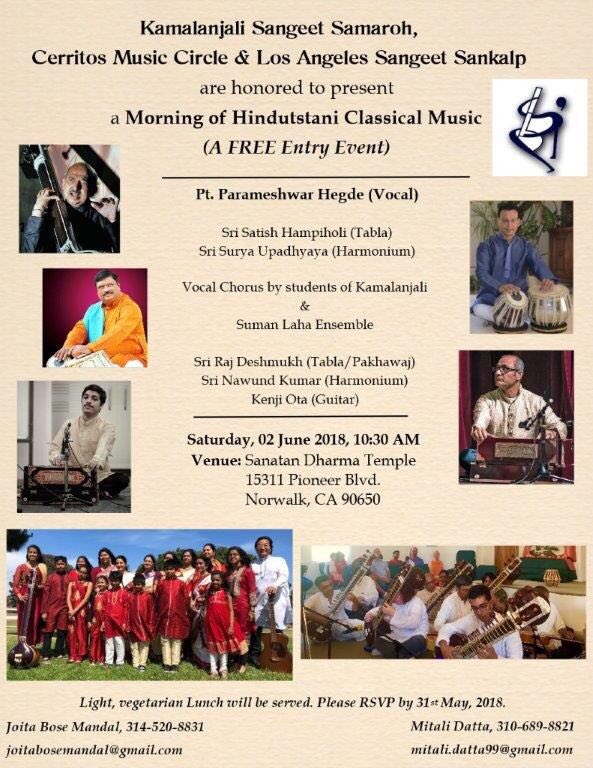 The Dakshini annual picnic is set to be a Super Saturday on June 9th, 2018 at the Cypress Arnold Park (8611 Watson St. Cypress, CA 90630) from 11am-5pm. You are all suggested to wear your favorite sports team apparel (jerseys, shirts, hats, pants, etc). We cannot wait to see the various teams that will be represented! To help us plan accordingly and avoid a shortage/wastage of food, click here to RSVP.